Let me share a secret with you all! 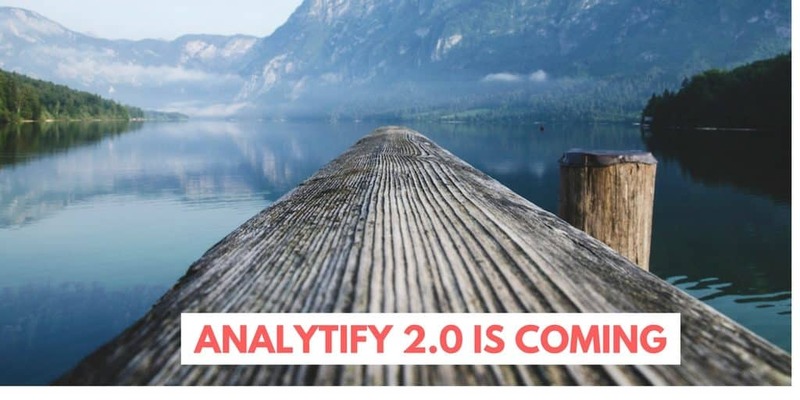 Analytify is evolving, and something is waiting for all of us ahead. WordPress 4.6 released today. We would like to take this moment, to share with you that a massive change in coming for all Analytify user. There will be big changes. We will keep all the nifty details under the wrap now. But I will share one major things today. We are merging and Free & Pro Core. So, instead of 2 separate plugins, now the Core Analytify will be one unique plugin. There will be addons, like we already have WooCommerce Addons, and many more to come. In fact we have few addons ready for you, and you will see with version 2.0. We don't want to declare any dates, but I could assure you, it is coming faster then you could expect. You see whatever we do is our our user, so please share what you want, feel free to add any feature suggestion, ideas, opinion in the comment section below. We are here looking forward for your feedback. Image Credit: This is an UnSplash Image by Ales Krivec. This is good because i’m interested in this plugin but the thought of having to buy two plugins / two purchases to make the one thing happen is complicated and would honestly hold me back from buying. I dislike having lots and lots of plugins so having one plugin that does WooCommerce Analytics is what I’m looking for. I found Your plugin after trying most alike on the market. The things is, I wanted the lightest one. I don’t need fancy graphics and tons of charts in the dashboard. I want it to be as light as possible. My main consideration at the moment is if You can handle keeping it light if You want to have everything under one product. I got the code and would love to buy the premium, but I don’t need a plugin with additional options that I don’t use. It will still take more space on my server and slow my website. Analytify doesn’t slows down the site at all. Feel free to use it and comment the features you don’t want in the plugin code.